Looking out my office window, I see new buds, hanging with a slightly confused grin. Birds in flight, are thinking that their innate gps systems have failed them. People . . . people are also muddled. I see winter coats as well as flip-flops and shorts, all on the same day! Green grass is barely sneaking a peek along the edges of the lawn, while sun glazed snow still falls on the mountain tops. That is spring in Idaho. I’m still enjoying the last few moments of late winter – early spring. My mind has not fully wrapped itself around the thoughts of weed pulling, gardens and picking raspberries again. 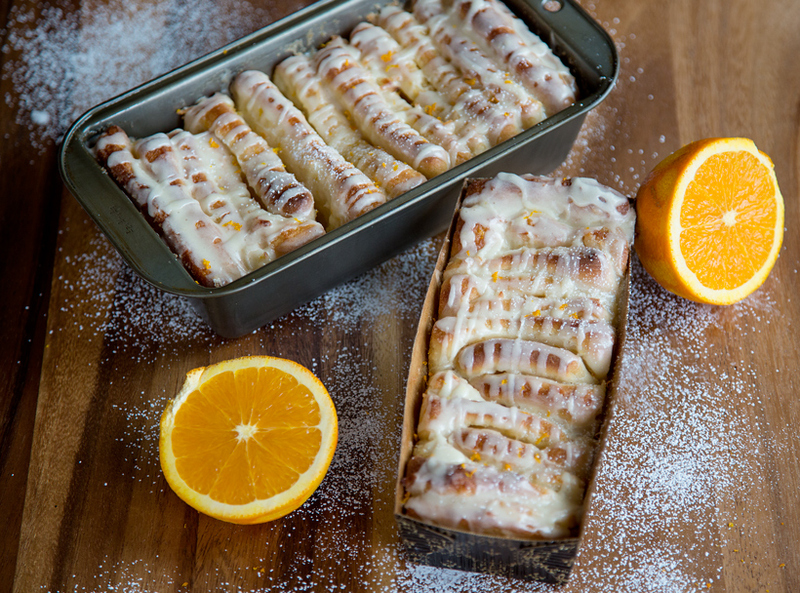 Orange Coconut Pull-Apart bread is basically just cutting the glazed bread into squares and stacking it—instead of creating individual rolls. Pretty simple but quite pretty and really fun to eat. 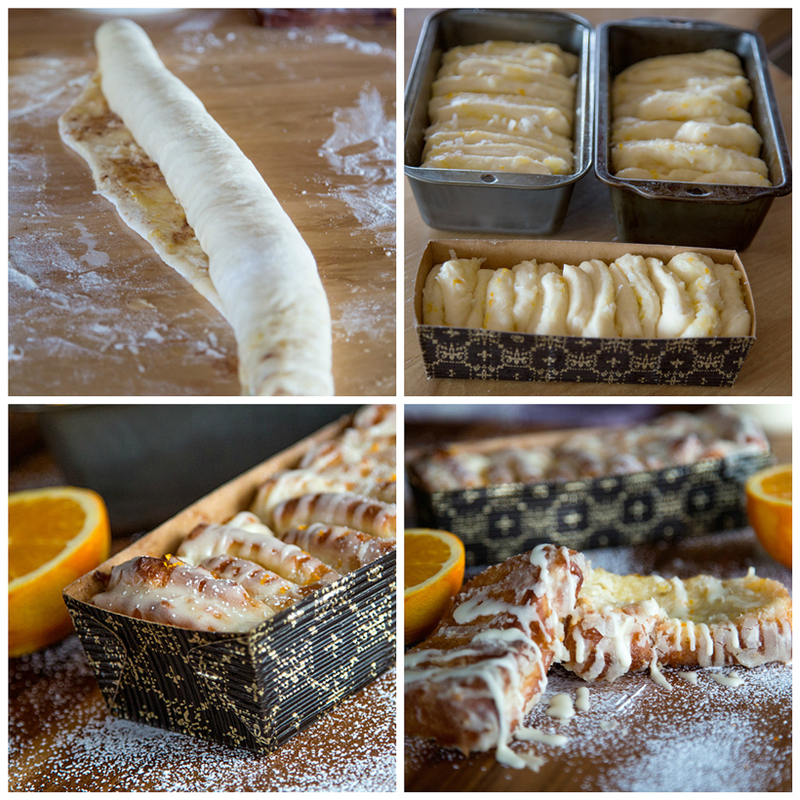 I halved the dough and made pull-apart bread as well as Orange rolls. Let me walk you through a few steps. Keep one of the balls of dough covered with plastic wrap, while you roll out the other. 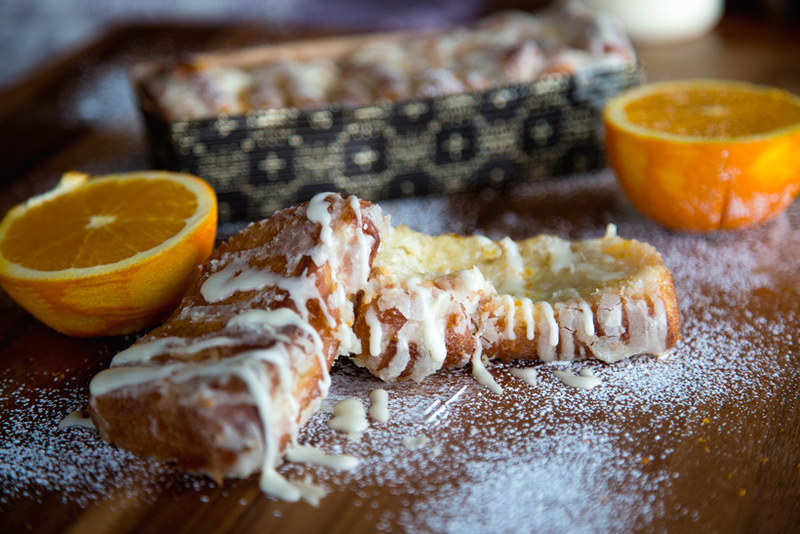 I like to make my Orange glaze first – cover it and set aside – so it’s ready. If I’m a bit slow, and the butter/sugar mixture has set up too much, I just re-warm slightly in the microwave. First, I’m going to make Pull-Apart bread. Half of the dough made 3 loaves of Pull-apart bread. My loaf pans measure 8-1/2 x 4-1/2 x 2-1/2. Prepare your loaf pans with cooking spray or melted butter. 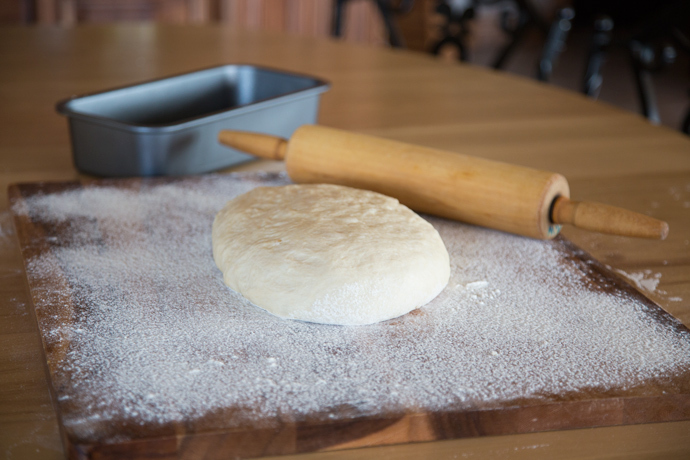 Roll out a ball of dough on a floured surface. 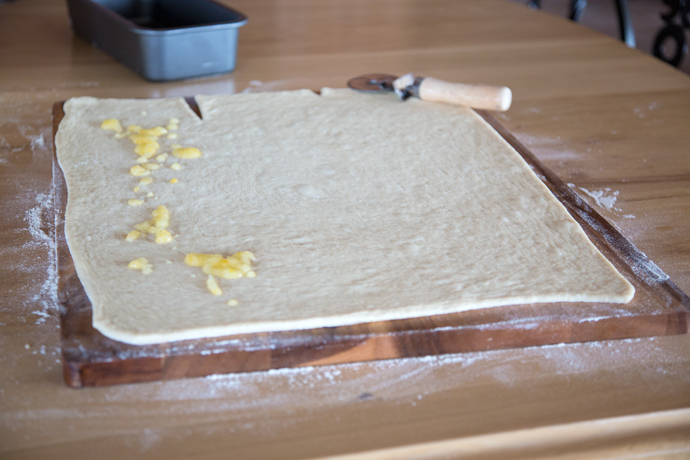 I rolled the dough about 1/4″ thick. My rectangle was about 12 x 20 when all was said & done. It doesn’t need to be perfect. 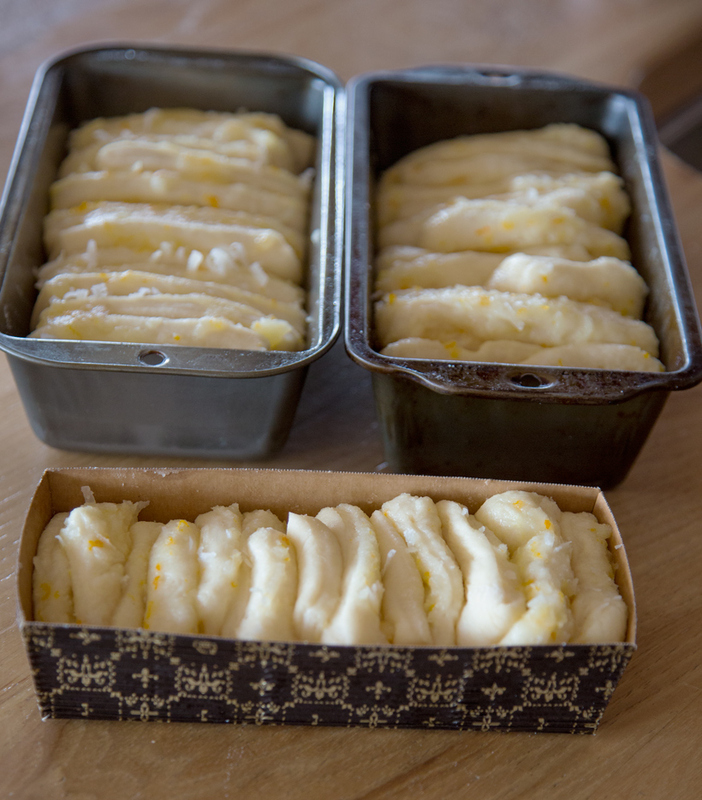 If your loaf pans are different – don’t fear! 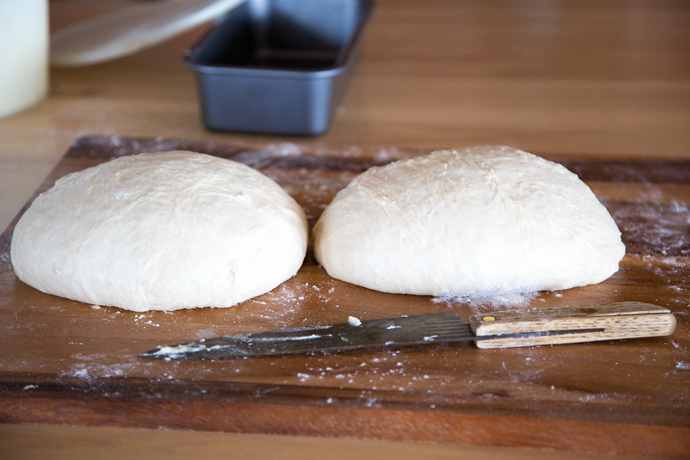 Measure the width of your loaf pan, and cut the width of the dough about 1/2″ less than that width. It needs to be able to expand as it rises. I measured about 4″ across, then made my mark. Use half of the glaze and spread evenly over the top of the dough. 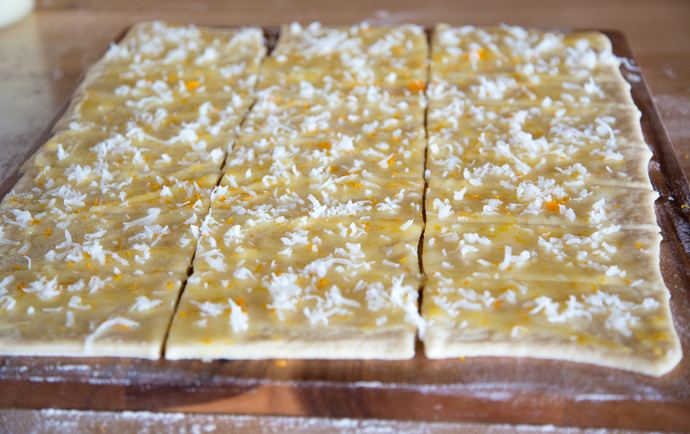 Sprinkle sweetened coconut over the top if you like. Sprinkle cinnamon over the top if desired. Using a pizza cutter, cut the rectangle into 3 vertical strips using your markings. Cut the strips into 7 squares of equal size. Your squares might need to be adjusted for your loaf pan size. Remember: The dough has to be able to rise & expand. Stack the squares loosely, one behind the other. Cover the loaf pans with a clean kitchen towel and place in a warm area to rise. You want the dough to double in size! I like to prepare the icing for the top, while my dough rises. Just like this. These are ready for the oven. Remember you can use the other half to make Orange rolls or Cinnamon rolls if you like. See that glaze inside? It’s the other half that you set aside. 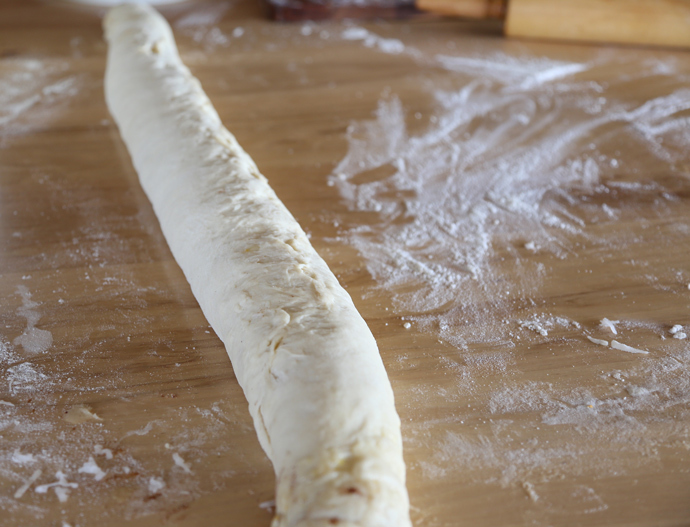 Make sure that you pinch the seams together very well, before cutting the rolls. I always use string to cut my rolls instead of a knife or pizza cutter. It makes a nice clean cut every time. Place the cut side down in your prepared pans. One half of the dough made 18 good sized cinnamon rolls. I got so busy taking pictures of the Orange Coconut Pull-apart Bread, that I forgot to take pictures of the Rolls. Just pretend you can see them! 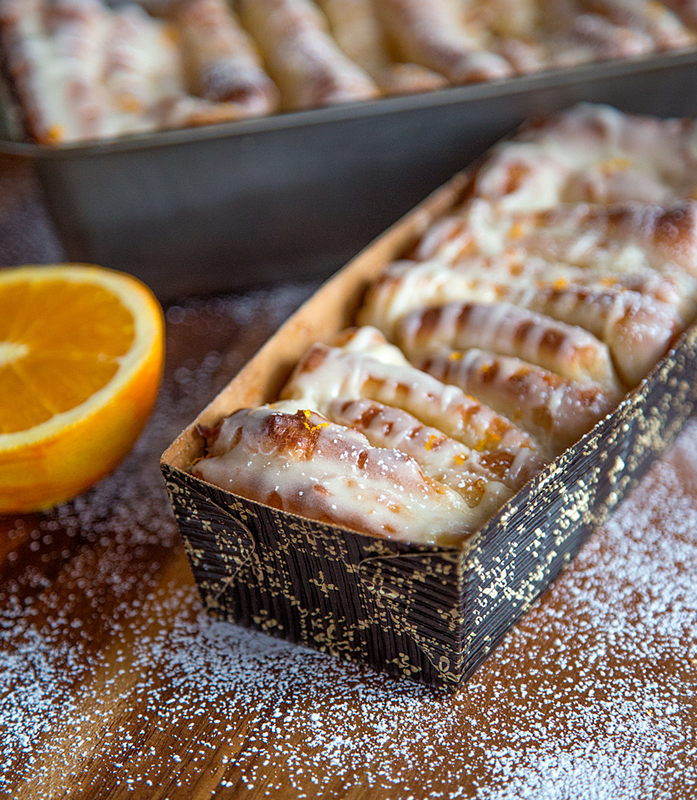 For years, I’ve been making the same Cinnamon roll, Orange roll recipe. It’s our very favorite. I believe it’s also my families favorite recipe as well. I’m not so stubborn though, that I won’t try new recipes. I decided to whip up Pioneer Woman’s Cinnamon Roll dough, instead of my own and put it to the test. After all, the reviews are crazy good. 1. 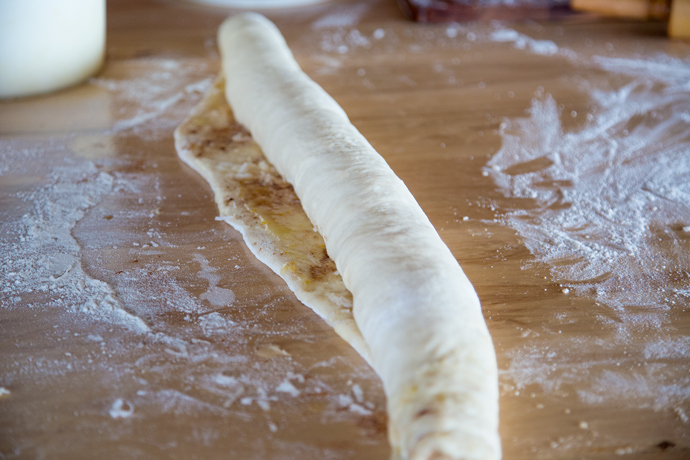 Pioneer Woman’s Cinnamon roll dough is super easy to make. You don’t need a mixer . . . just your arm and a wooden spoon. It’s easy to roll out and work with. The dough has yeast in it, as well as baking powder and baking soda. The combination of the three rising agents makes the texture of the baked rolls quite different. The rolls are airy & light. Good rolls. 2. 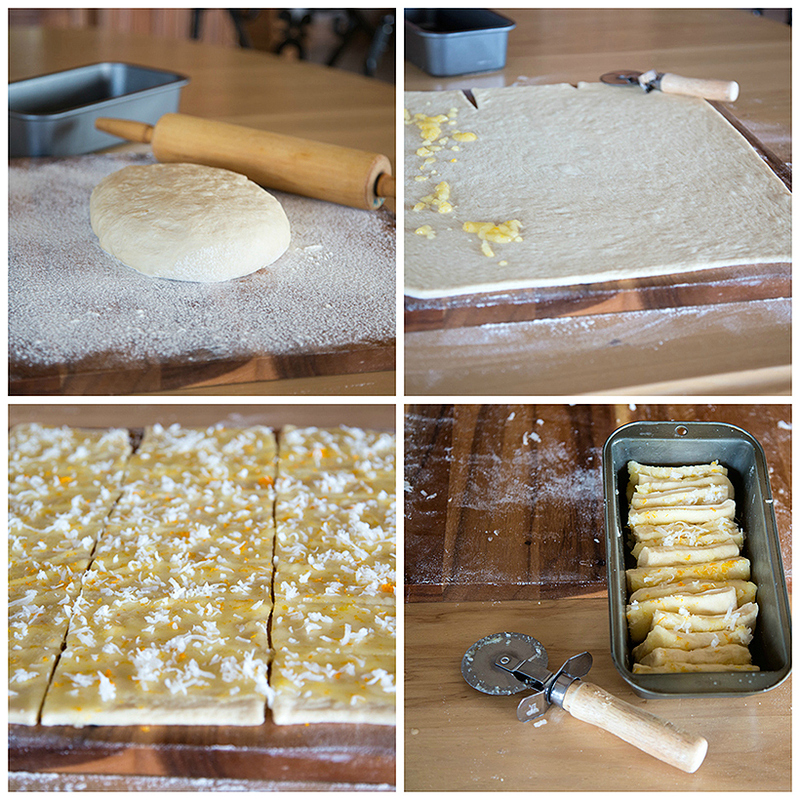 The Cinnamon roll or Orange roll dough that I rave about . . . only has yeast as a rising agent. It also has eggs in the recipe. The rolls rise higher, are more bread like, tender, light & fluffy. 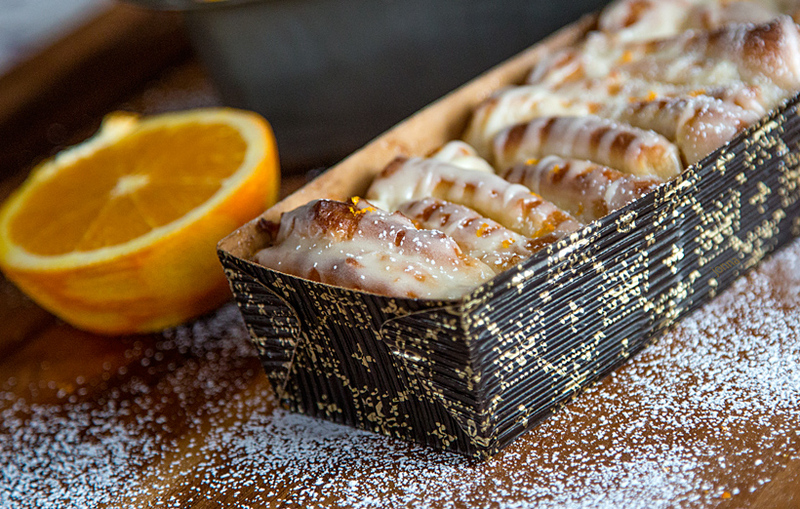 Orange rolls to die for. I took some pull apart bread & rolls to my daughter, who lives down the road. She thought they were good but not nearly as good. When my hubbie came home, he quickly picked up a roll. I didn’t say a word. I just wanted to see if he noticed any difference. He did! “What did you do with these?” he said. “What . . . Why?” I said. “They don’t taste the same.” he said. “I tried a new recipe.” I said. “You just have to mess with a good thing don’t you!” he said. You should know that ALL of the rolls were eaten, and that I love Pioneer woman. I hesitated saying anything contrary since we all love her. The bread or rolls are good. It just didn’t compare to this recipe, that I’m sticking with from now on! Here are the links to both recipes. When you feel the B-L-U-E-S coming on . 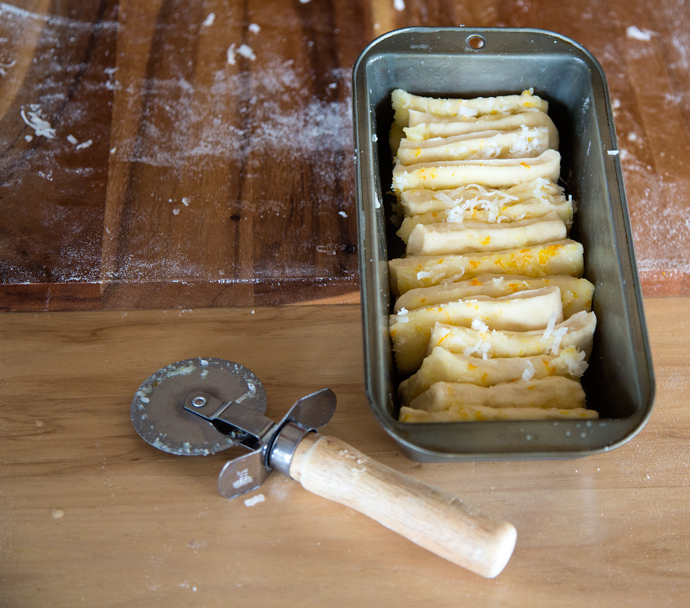 . . make ORANGE ROLLS!